Crown Prince Mohammed bin Salman said that Saudi Arabia would acquire a nuclear bomb “as soon as possible” if Iran developed nuclear weapons. BEIRUT, Lebanon — Saudi Arabia’s powerful crown prince has compared the supreme leader of Iran to Adolf Hitler, and said that his country would acquire a nuclear bomb “as soon as possible” if Iran developed nuclear weapons. The comments by Crown Prince Mohammed bin Salman ratcheted up the rhetoric in the increasingly volatile rivalry between Saudi Arabia and Iran, which has fueled sectarianism and war across the Middle East. His statements were in an excerpt, released on Thursday, of a prerecorded interview with “60 Minutes,” the CBS News program. Saudi Arabia, a Sunni monarchy, blames Iran for funding militias to undermine Arab states, while Shiite Iran accuses Saudi Arabia of backing Sunni extremist groups. Their struggle for regional dominance has put the two nations on opposite sides of conflicts in Yemen, Syria and Iraq that have killed hundreds of thousands of people and displaced millions. Prince Mohammed, who jailed hundreds of the kingdom’s most potent figures while swiftly consolidating his own power, is scheduled to arrive in the United States on Monday for an extended trip. His plans include meeting with President Trump in the White House and with business, entertainment and technology leaders in a number of American cities. One of his primary goals is to persuade Americans to invest in his reform plans, which aim to diversify the Saudi economy away from oil, increase the kingdom’s military self-sufficiency and raise its citizens’ quality of life. His comments on Iran also suggested that he would seek further cooperation with the United States in combating Iranian influence in the Middle East, a goal he shares with the Trump administration. 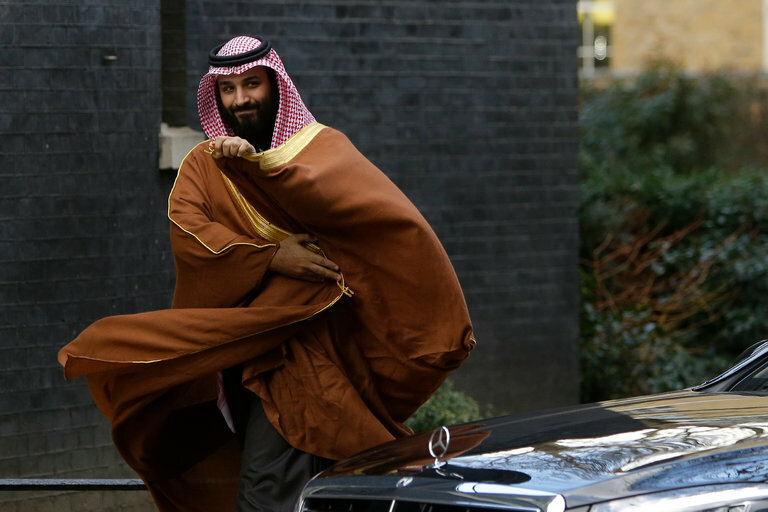 In the interview, Prince Mohammed, 32, played down Iran’s power, saying its army was not well ranked in the Muslim world and that Saudi Arabia had a larger economy. “Iran is far from being equal to Saudi Arabia,” he said, speaking through a translator. He was then asked whether Saudi Arabia sought nuclear weapons to counter Iran. “Saudi Arabia does not want to acquire any nuclear bomb, but without a doubt if Iran developed a nuclear bomb, we will follow suit as soon as possible,” he said. Saudi officials grew furious with the Obama administration for its push with other world powers to reach an agreement placing limits on Iran’s nuclear capabilities. 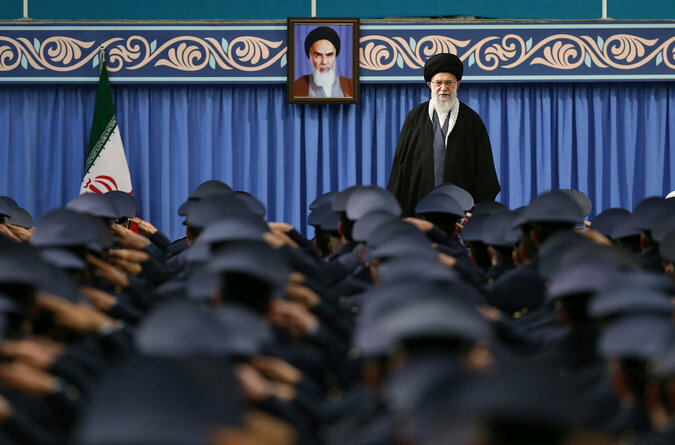 Like Israeli leaders and many Republicans in the United States, they claimed that the agreement would merely delay Iran’s quest for nuclear weapons, while ignoring Iran’s other activities, like supporting Shiite militias. Iran has insisted that its nuclear program was peaceful and intended to produce only energy and research, not weapons. The new policy stated that “all nuclear activities will be restricted to peaceful purposes, within the framework defined by international legislations, treaties and conventions,” according to a statement released by the government on Wednesday. It remained unclear when work on the new program would begin. The “60 Minutes” interview with Prince Mohammed will be broadcast on Sunday.